It was a surprise last minute move that will affect every applicant hoping to qualify for a mortgage with a lower down payment than traditional mortgages require. Slated to go into effect July 1, the Federal Housing Administration opted to keep in place lowered credit thresholds for would-be homeowners who also have collections or medical bills on their credit reports that total more than $1,000 each. Had the FHA not reined in the tough guidelines, it’s estimated that a full one-third of applicants would not have met the new credit criteria, thereby resulting in more mortgage declines – something the struggling economy absolutely does not need. The new rules would have meant that any applicants with collection account, disputes or other credit problems would be required to rectify them prior to beginning the home purchase process. They would had to have paid them off, set up payment plans or provide proof there’s an error on the credit report. If an applicant could not or would not meet that criteria, it would have meant an automatic denial. On the other hand, loan officers would also have had the option of discussing different options with applicants in order to resolve the problems – something that doesn’t usually happen in this type of lending environment. The loan officers would have had more leeway in discussing information in a more guiding manner with the objective of dealing with it versus overlooking it. It’s not uncommon for many applicants to have credit problems of this nature, especially in tough economic times. These problems, however, weren’t necessarily deal breakers as they might not have presented as risks. Some black marks on a consumer’s credit report could be medical bills or old debt that’s nearing the expiration date after seven or ten years. It might also be that an account is disputed, but still showing as delinquent on a report. Also, there are those times when debt has expired but is still showing on an Equifax, Experian or TransUnion report – or all three reports. When a borrower can provide proof that it’s being debated or has been paid, even though it’s still showing as unpaid, lenders have traditionally included that proof in the loan application package. The concerns many had was that it would mean lower income families would face difficulties finding loan products in the usual places, something the FHA was meant to balance out. These tough standards would have placed the FHA out of reach, just as banks and mortgage companies are now, for millions of American applicants. The typical applicant who’s reaching out to FHA is one who’s had bankruptcies or other credit problems or perhaps they’re a first time homeowner. Credit card debt is also another reason applicants don’t take those traditional routes. A bank might require a sterling credit history with scores near 800 while FHA can work with applicants whose FICO scores are as low as 580. With more Americans dealing with lowered credit scores, those typical lenders are increasingly out of reach for many. There’s a growing need for government programs and had the new laws gone into effect, the FHA would’ve have been just another dead end. Many banks are already extremely cautious with their own deals as new compliance rules mean they must buy back loans that default, something no bank wants to do. FHA Deputy Assistant Secretary Charles Coulter says his agency’s “ongoing interest in reevaluating its credit policies — such as the rescinded collections and disputes rule — is to find a balanced yet flexible approach to promote access to affordable credit while protecting the mortgage insurance fund.” Further the government agency plans to release new rules that are specific to addressing collection accounts and disputes separately rather than grouping them into a single standard, said Coulter. So what does this mean for consumers who were planning on applying with FHA? Fortunately these applicants won’t necessarily have to address past credit blemishes. They won’t have to pay off old debts or otherwise resole the accounts in most instances. That said, any application might be delayed as it’s sent for what’s known as manual underwriting, meaning a closer look is given to the applicant and his specific needs and situation. It usually means a delay of up to a month, though not always. The exceptions include any debts of less than $500 or more than two years old. 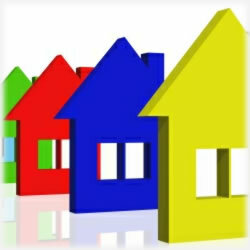 It’s best to attempt to address any problems in an effort to prevent these delays prior to even applying with the FHA. For those wishing to present as complete a picture as possible, it’s recommended they request a copy of their credit reports from all three agencies and then ensure they’re accurate. Anything that might could be a problem should be examined more closely and dealt with ahead of time, say mortgage brokers we spoke to.